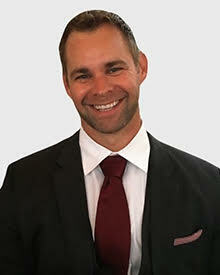 Dunn joined CEESI as Sales Manager in July 2018. Before joining CEESI, he earned his B.S. and M.S. in Physics from Texas State University and spent eleven years at Schlumberger Drilling and Measurements. He began his career as a measurement engineer and directional driller, where he was responsible for drilling, logging, and surveying complex horizontal oil and gas wells across North America. He later became the project manager and technical advisor for a large-scale, in-house drilling service project for a major oil and gas operator. The success of this project, driven by his partnership mentality and relationship with the client, led him to join the Schlumberger sales and account management team. As sales manager for CEESI, Dunn provides customers with dedicated sales and service support, while assisting the Iowa team with exceeding growth and performance goals. Dunn is based in Houston, which allows him to easily meet with customers and help them identify ways to address challenges with natural gas custody transfer and ultrasonic meters.